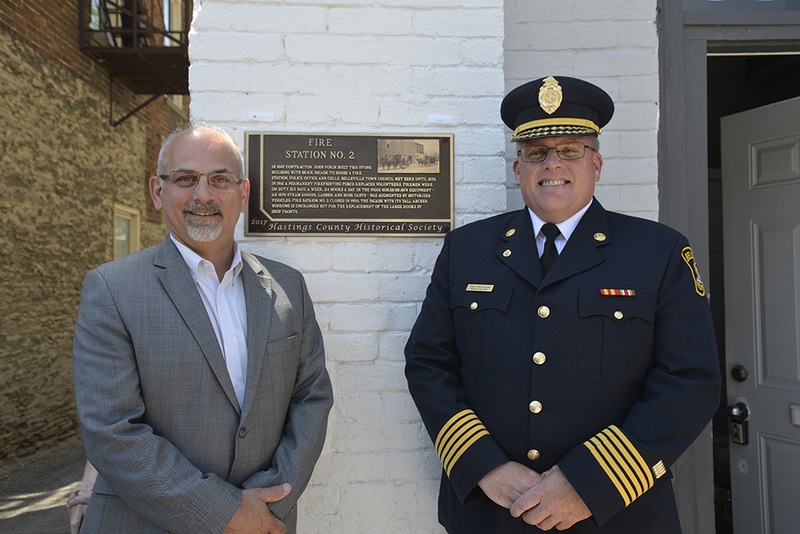 To mark the 200th anniversary of the City of Belleville and the 150th anniversary of Canada, the Hastings County Historical Society placed five historical plaques in the downtown area of the city. These plaques commemorate various historic buildings, events and locations in the city centre. This is part of a program to place historical plaques throughout Hastings County. Fire Hall No. 2 at 394 Front Street. This building housed the fire department plus stables for its fire horses, police office and cells and the town council. Built in 1867, it closed in 1950 and is currently a restaurant. Simpson's Tavern at Dundas and Front streets. Simpson's Tavern was built in 1797 and replaced in 1799. It was the hub of political, military and social events in the emerging community of Belleville, then called Meyers Creek. The plaque can be found in the northwest parkette at the intersection of Dundas and Front streets. Griffin Opera House at 65 Bridge Street East (Bridge and Church streets). Built in 1884, the Griffin Opera House was the centre of theatre, opera melodramas and minstrel shows. It was recognized as one of the finest theatres between Montreal and Toronto. The Great Belleville Floods. On many occasions, the mighty Moira became blocked at its mouth with giant ice floes which backed up the water, causing serious flooding downtown. The plaque is at 224 Front Street. The Pinnacle Street Railway. From 1877, trains carried freight and passengers along Pinnacle Street from Belleville Harbour to the Grand Trunk Station and beyond to Peterborough. It was part of the Grand Junction Railway. The last train operated on the line in 1964. The plaque is affixed to the outside wall of the Belleville Club at Pinnacle and Bridge streets. 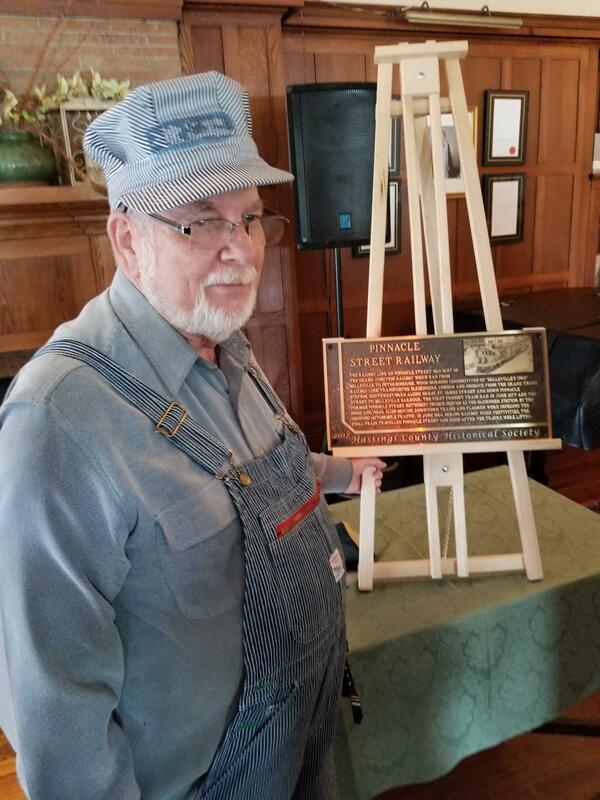 Read more about Belleville's Own Railway: The Grand Junction Railway. Marchmont Home. 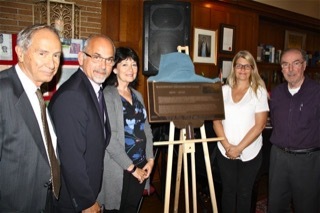 A special historical plaque commemorates the 100,000 impoverished or orphaned British Home Children who were brought to Belleville between 1875 and 1925 for placement as farm workers or domestics. The plaque is located at Moira Street West and Yeomans Streets, placed in conjunction with the British Home Group.